We feel that Outlook/SharePoint integration is an area where MS has dropped the ball a little bit. 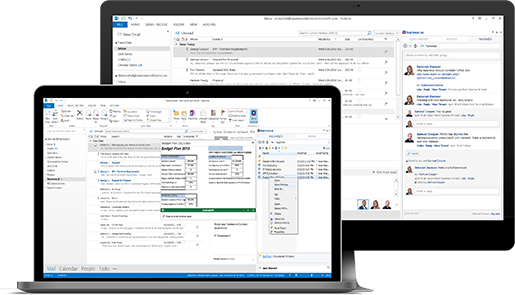 Of course, there is synchronization between SharePoint tasks and calendar items and Outlook, but we find most end users have at least some interest in storing e-mails directly in SharePoint (not saving them locally first and then uploading them). In our own experience, we’ve worked for lawyer firms and legal departments in the Netherlands, USA, and even one in Portugal, and we found that they have more than a passing interest in this topic; for legal professionals a feature rich integration between Outlook and SharePoint is an absolute must. You’re experiences in different businesses are probably similar. Of course, in SharePoint 2010 and up we have e-mail enabled lists and libraries (for document, picture and form libraries, and announcements, calendar, discussion board, and blog lists), but once you dig deeper into this functionality most customers are not completely satisfied with it. Not to mention, e-mail enabling SharePoint lists and libraries typically has some impact on your AD as well as your Exchange environment. Even so, this is not an area that has undergone major improvements in SharePoint 2013. – It allows end users to preview documents located in SharePoint without having to download them. – Support for Skydrive Pro inside Outlook, so that offline scenarios are supported (and we feel this is a real nice one!). – Integration with Yammer social and micro-blogging features within Outlook. We’re excited about this one, we always tell end users that most social features can be accomplished by sending e-mail, but it’s certainly not the BEST way to approach this problem. This feature gives you the best of both worlds. – Making it real easy to send document links in e-mail messages, calendar appointments and tasks. – Replace attachments with links. A great thing, because pumping attachments around the organization is such a waste of storage. – Easy SharePoint navigation within Outlook. – Integration with SharePoint document management features (such as check-in/check-out and metadata management).